What's better than a shower head that can not only beautify your skin and hair, but also save you a bit of money on your water bill? Look at this innovative product from Oakleaf. I installed this shower head within a few minutes. It screwed onto the hose that we already had in our shower with no issue, no leaking. 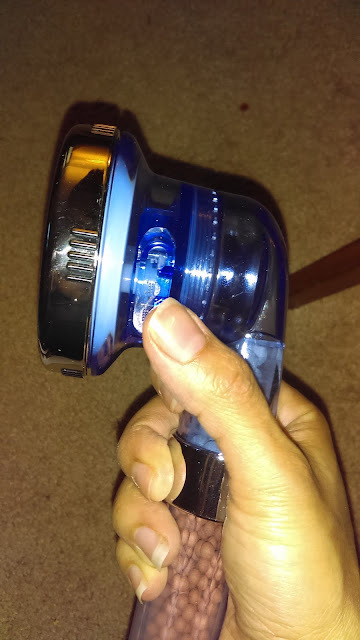 It's a smaller shower head than the previous one that we had been using, so I wondered how the flow was going to be. The way that I can best describe the flow is that it's soothing and gentle, but still not a weak flow. Some shower heads have a flow that's so strong it feels like little pins on your skin. This one feels like a relaxing massage. You can adjust the flow on the shower head by flipping a little switch. I love that it filters the water and also negative ionic spheres that help your hair and skin look better. 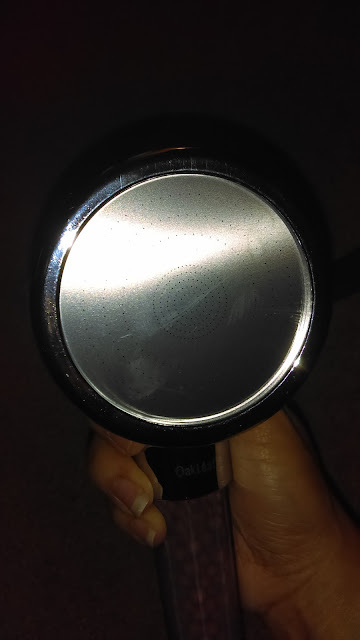 Before this shower head, I noticed that my hair felt a bit more coarse and dry due to the hard water. 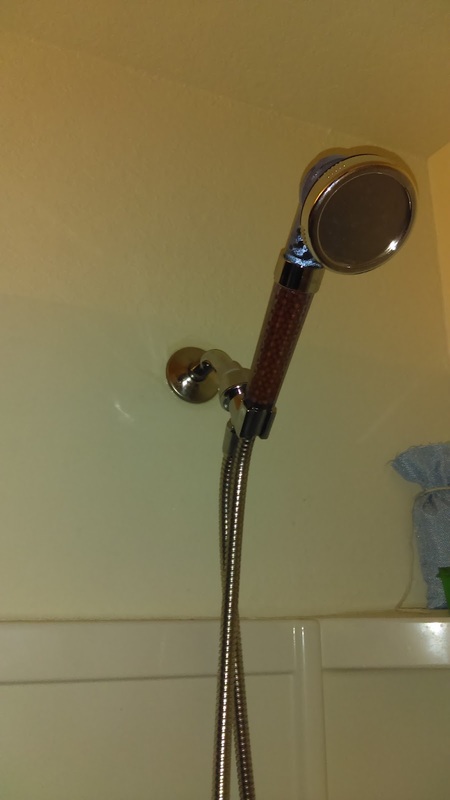 This shower head has made a noticeable and touchable difference and my husband agrees. It's softer. Besides all the good stuff I talked about above, it also looks very cool. 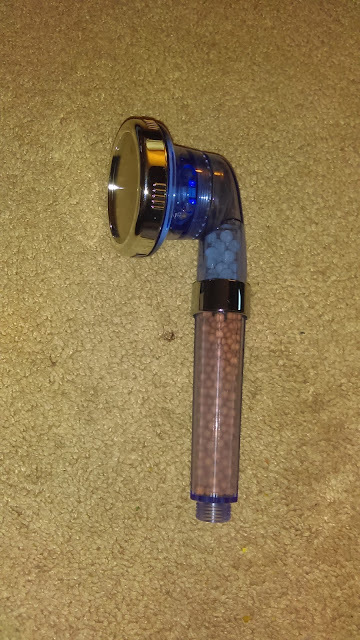 It's a see through blue with shiny silver head and you can see the filtering beads inside. I think this is a great product. Buy this shower head on Amazon.